CHR is the largest, single-source provider of business process outsourcing, engineering services, software solutions, and technology managed services to communications service providers across the globe. Our 60+ year legacy as an innovative IT leader enables us to make Cloud a reality for our clients. CHR has built the necessary infrastructure and employed the right sets of technology to ensure our clients have the security, redundancy, fault tolerance, scalability, and automation that are critical components of the Cloud equation. CHR's hybrid Cloud is backed by multiple redundancies and spans four data centers across the US – ensuring reliability and security for the most sensitive data and depended-upon services. Our clients include: telephone companies, Internet companies, cable TV providers, wireless providers, and city municipalities. As we grow to better serve our clients, we remain committed to the spirit of personal service that balances tradition and technology. 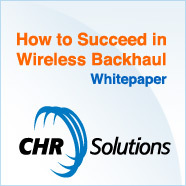 For more information, visit www.CHRSolutions.com. Progress Software empowers communications service providers to enhance the overall experience of their customers in a way that traditional B/OSS solutions cannot by providing them with highly adaptable, quick-to-implement solution that best leverage their existing B/OSS assets. Many of the worlds leading communication companies use Progress, including Belgacom, Level3, Qwest, Alcatel-Lucent, China Mobile, Verizon, Frontier Communications, H3G – 3 Italia, Huawei, Sprint, Portugal Telecom, Orange UK, One.Tel HK, Cablevision, Telecom Italia, and many more. Cycle30 provides completely hosted order-to-cash billing services for cable, telecommunication and utility operators in North America. The Cycle30 platform of services includes order management, revenue management, service assurance, billing management, integrations and business intelligence. Cycle30 is headquartered in Seattle and operates data centers across the U.S. 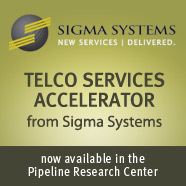 Learn more at www.cycle30.com/services. Cycle30 provides a hosted order-to-cash billing platform for cable, wireless, telecommunications, utilities and machine-to-machine services. We empower service providers to focus on their customers, while Cycle30 handles the billing operation. The Cycle30 platform includes customer management, service fulfillment, billing and revenue management, service assurance, integrations, and business intelligence. Cycle30 is a U.S. company, headquartered in Seattle, Washington, with data center facilities across North America and beyond. Visit www.cycle30.com. 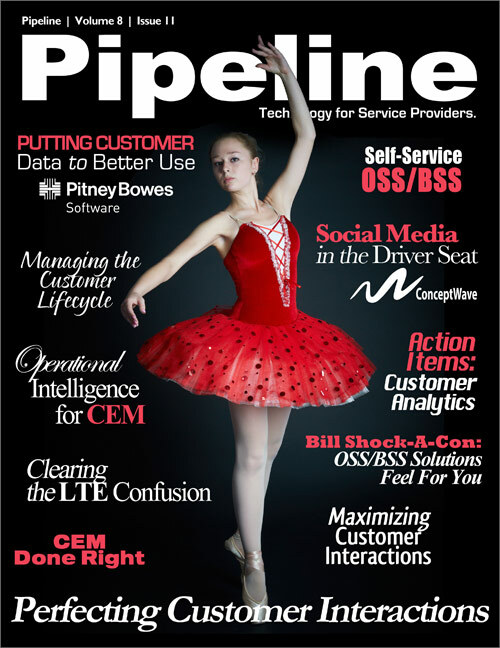 Pitney Bowes Software, a wholly owned subsidiary of Pitney Bowes Inc., is a software & services company that enables communications providers to acquire, serve and grow lifetime relationships with their customers. Our proven solutions enable organizations to engage with each of their customers as individuals and to connect every customer communication ‐ outbound, inbound, marketing, sales or service ‐ into an on‐going dialogue where customer insight and understanding forms the basis for each and every interaction. The end result is that your customers, no matter how or where the contact was made, always go away with the feeling that you know them, you understand them, you care for them and you value them. Enlightened communications providers have always seen customers as a company's most important asset and a fundamental component of future growth and profitability. We help enhance the lifetime value of their customer relationships through a suite of innovative and compelling capabilities that integrate data management, location intelligence, sophisticated predictive analytics, rules based decision making and cross‐channel customer interaction management. 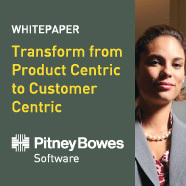 Together with Pitney Bowes Software, communications providers can achieve more valuable & long standing customer relationships built on trust, relevancy and outstanding customer experiences as well as delivering significant operational efficiencies for enhanced profitability and shareholder value. Vitria Technology, Inc. provides the industry's leading Operational Intelligence suite, empowering partners and customers alike to develop innovative Operational Intelligence solutions to analyze business activities in the proper context and take real-time action. The result is faster, better decision making. With a rich heritage as a technology pioneer, Vitria's award-winning process integration solutions provide the backbone for many Global 2000 companies' mission-critical business processes. Vitria has customers in North America, South America, Europe, Asia, and Australia. CustomCall is a division of Enghouse Networks Limited. CustomCall Data Systems, Inc. provides Billing, Provisioning and WorkFlow solutions to Communications Service Providers, such as telephone companies, Voice over Internet Protocol providers, cable TV and IPTV companies as well as wireless providers. 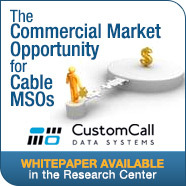 Founded in 1993 by telecommunications executives with vast industry experience, CustomCall offers keen insight and solutions to information systems issues facing competitive CSPs. Extensive familiarity with telephone information systems, combined with state-of-the-art technology deployment, have contributed to CustomCall's growth. CustomCall prides itself in providing reliable, response and cost effective solutions, and a unique commitment to personalized client support. CustomCall works side-by-side with each of our customers to ensure they capture more revenues, increase customer satisfaction, work faster and grow their business. ConceptWave is a leading provider of order management and product catalog management solutions that improve operational efficiencies and facilitate the rapid delivery of new services for the Communications Service Provider market. ConceptWave Order Care is a highly configurable order handling and product management platform that supports end-to-end flow-through order capture, order management and I Want My IPTV via a product catalog through a fully-integrated J2EE/SOA and NGOSS product platform. Mobixell provides intelligent mobile Internet solutions that optimize Operator's data network and maximize data profitability. Mobixell solutions enable operators to provide superior broadband and Internet services to their subscribers, with excellent rich media user experience and enhanced value added services. Our solutions include mobile data and video optimization techniques, overall traffic management, and advanced revenue generating services. May 21-24 in Dublin, with Official TM Forum Training and Certification available May 20-21, 24-25. Even if you can only attend one event this year, Management World 2012 is the right choice. Click here to explore it all online and view the conference brochure. *Offer valid on new registrations only..